Wow Summer has just snuck up on me. Tomorrow is the kids last day of school and I’m pretty excited. I wanted to try to get one last craft project finished before the Summer break started (while I had the free time). 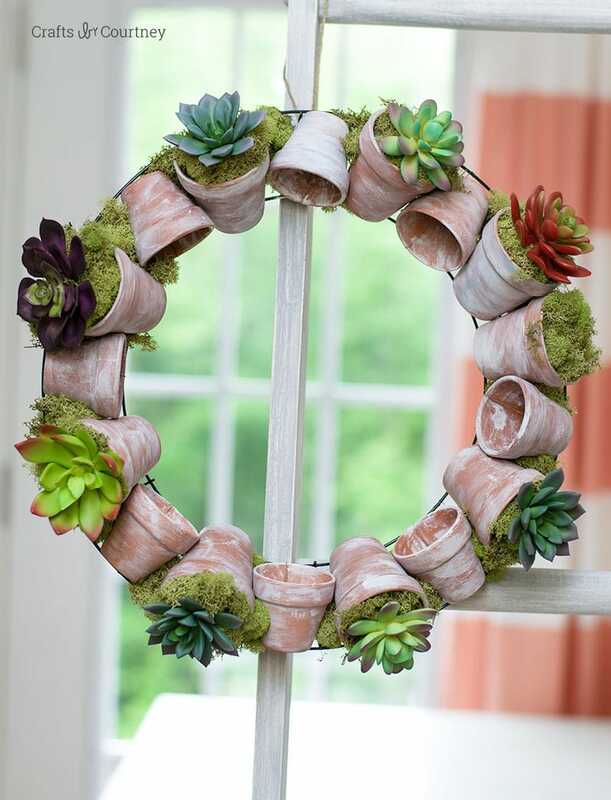 A Succulent Wreath! Last month I found some cool faux succulents at the Dollar Tree, I know right?? How cool is that?! I grabbed about $15 worth for some upcoming projects. 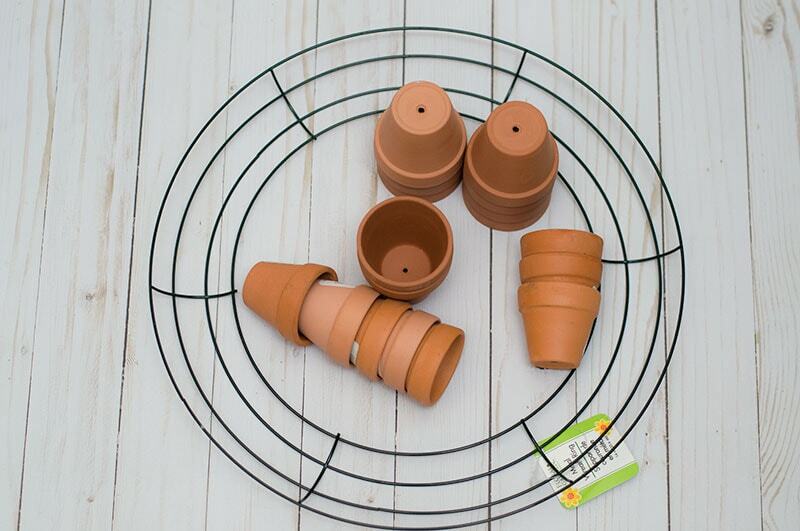 They also had some mini terracotta pots 3 for $1. I went to Wal-Mart next and I found an even smaller size for .38 cents each. 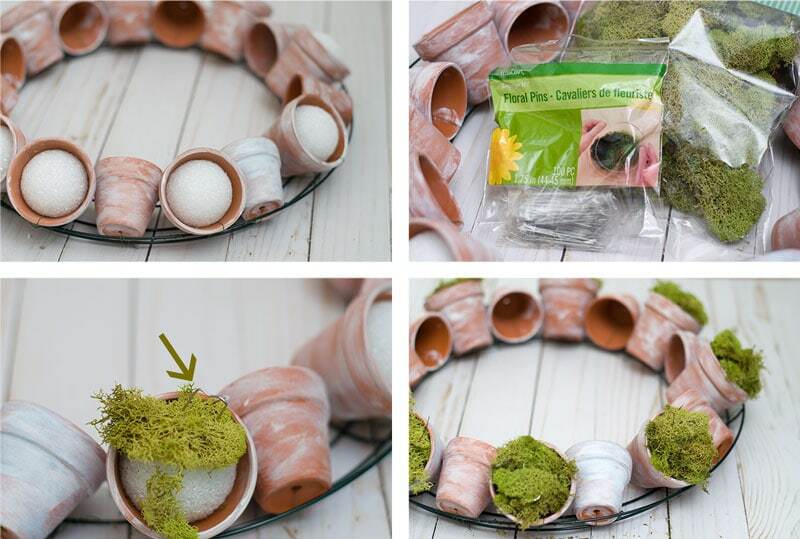 I knew right off what I wanted to make a succulent wreath!! I love a wreath project! 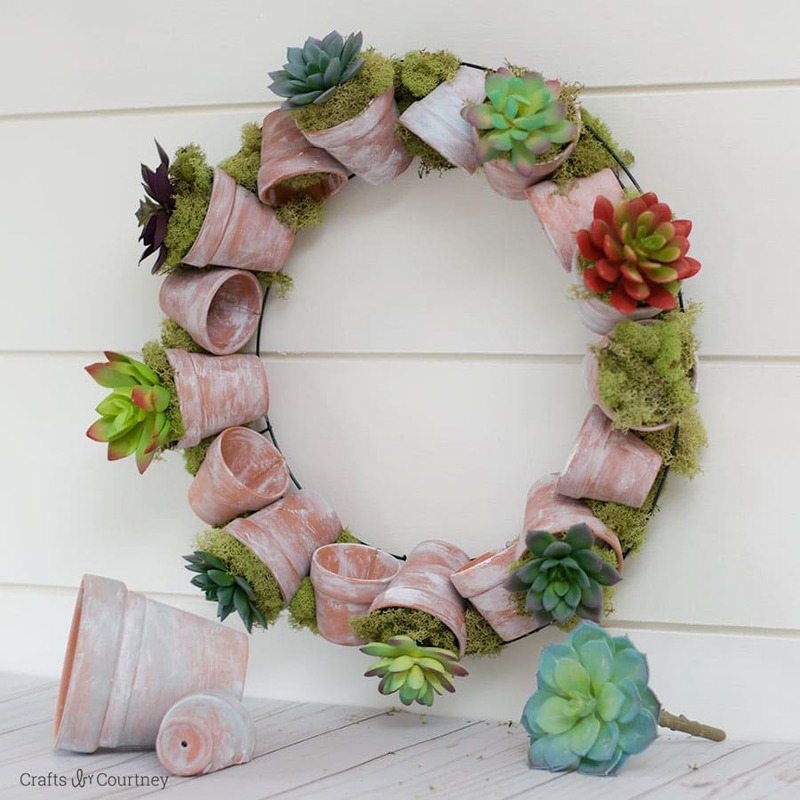 A succulent wreath project has been on my radar for while now. They look simply amazing and so pretty hanging up! I also found my wire wreath at the Dollar Tree. That place seriously has everything. Most of the supplies for this project came from there. 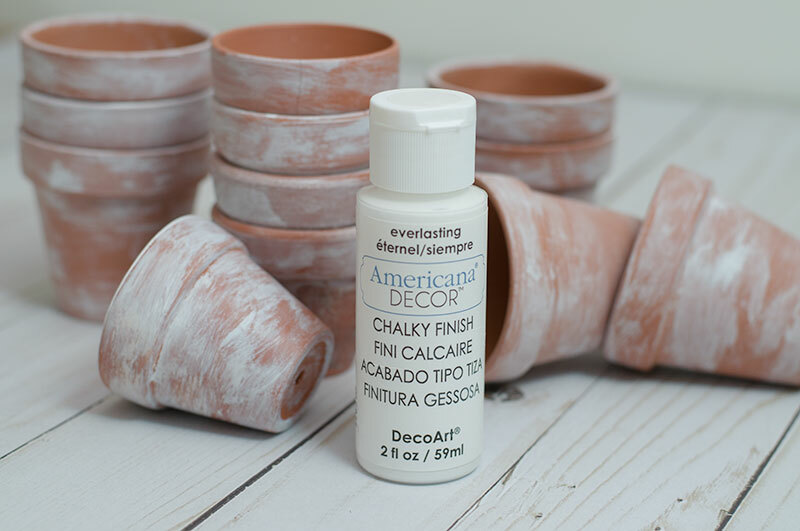 I started off by painting my terracotta pots with some of DecoArt’s Chalky Finish paint to give them an aged look. I lightly painted on a coat of the chalky finish paint and then used a wet napkin to wipe off some of the extra paint. Let the paint dry and then add another coat. Wipe down again with a damp napkin. You can go as light or as heavy as you want, totally up to you!! Since the pots have holes at the bottom it makes this step so much easier. 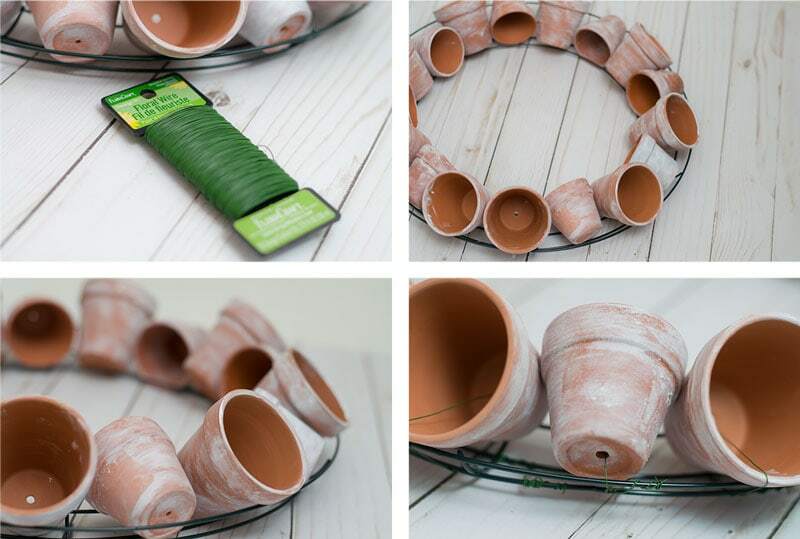 Just run the wire through the clay pot and wrapped it tightly around the wire wreath. Once your done those pots aren’t going anywhere!! Since I write for FloraCraft I had a TON of foam balls on hand. I found the perfect size to fit right into the pots. I didn’t even need to glue them down! Next I added my moss by using some floral pins to keep it in place. 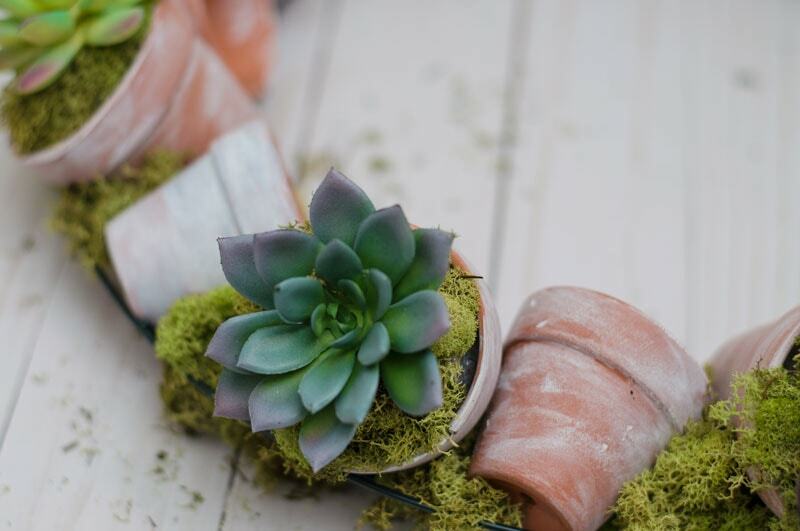 Step 4 – Succulent Time! 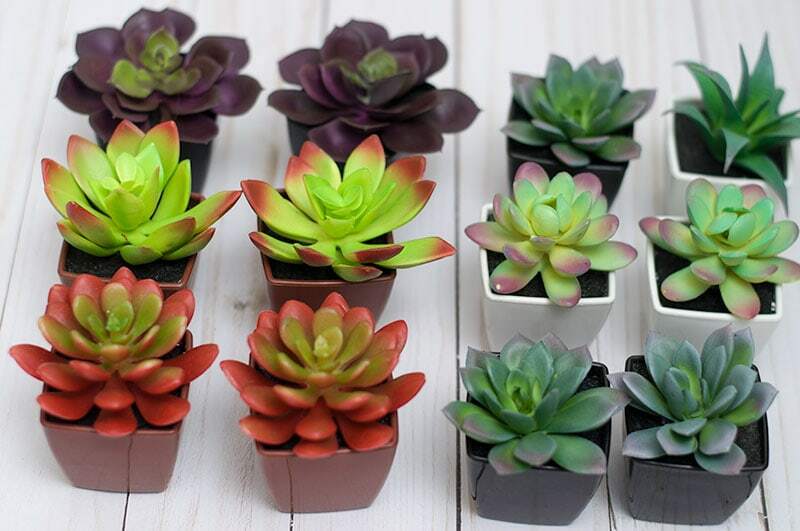 All the succulents came in mini pots already, but they were super simple to remove. I only added the succulents to the larger pots. 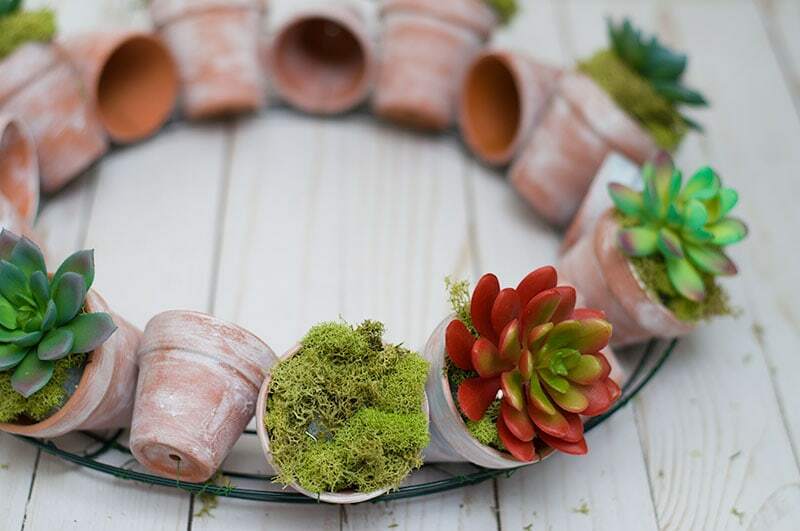 Since I added foam to the pots already it was easy to add the succulents to the wreath. I don’t know if it’s just me, but I LOVE how this wreath turned out!! I think the hardest part is trying to figure out where I’m going to put it in the house! In the picture I just added a nail to the wall and hung it up. But the picture with the ladder I added some jute to the wreath and it was easy to hang up that way as well. 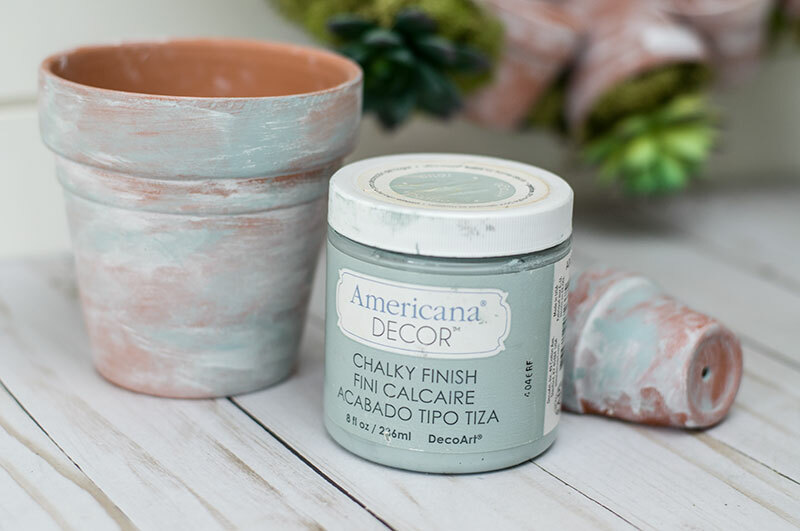 Another look I wanted to try out was painting some of the chalky finish vintage on some of the larger pots. I might go back later and add this color the all the pots on the wreath. 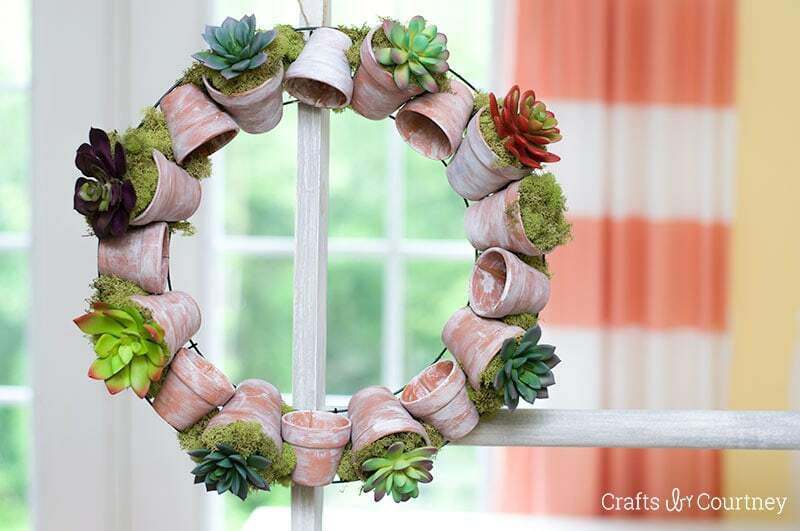 I think painting the pots really gives this Succulent wreath the look I was going for. You can paint them whatever color you want. 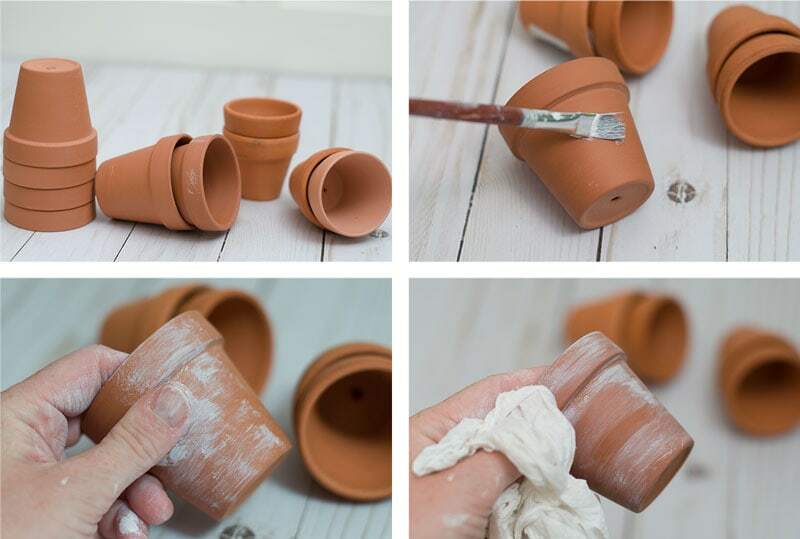 I bet adding some gray to the pots would be pretty as well. So I think this wreath looks pretty cool, but it totally has a farmhouse feel to me. If you know my style then you know it’s coastal so I might have to add some mini starfish to this wreath. I’ll keep you posted for sure!! Make sure to check out all my wreath projects I’ve made over the years!